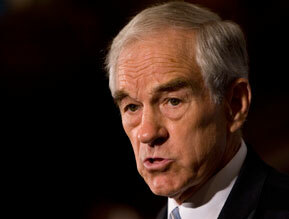 Ron Paul thinks President Obama got it wrong yesterday when he got rid of Stanley McChrystal. Paul, a fierce critic of the war in Afghanistan, said that the inflammatory comments made by members of McChrystal’s staff in Rolling Stone were evidence of frustration over what he says is the war’s failed policy. Republican members have mostly been supportive of Obama’s decision to replace McChrystal but keep the same counterinsurgency policy, which was largely based on McChrystal’s recommendations.